An ideal option when your requirement involves moving loads into or out of your building. 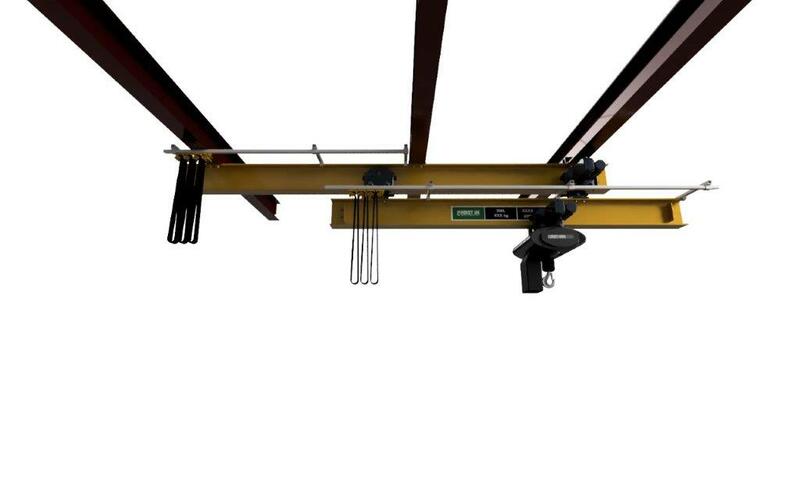 A runout crane is a safe, simple and easy to use lifting solution. Each Hoist UK runout crane is a completely bespoke solution from start to finish. Each crane is designed, built and tested in our factory in the North West of England. From there we offer a service that involves fitting and testing on site if required. They can be built to fit into any sized building with numerous options including free standing and wall and / or ceiling mounting. Typical applications include lifting loads to and from trailers or boats outside your building. A runout crane can be used for any application requiring a load to be lifted from an indoor area to an outdoor area. It can be placed on a 2nd, 3rd or 4th floor of a building to deliver and receive loads through raised loading bay doors. Given the unique configuration of our system, there are no external modifications required to your building during fitting. It’s not necessary to reconfigure or cut a hole in the door of a warehouse to fit the system. 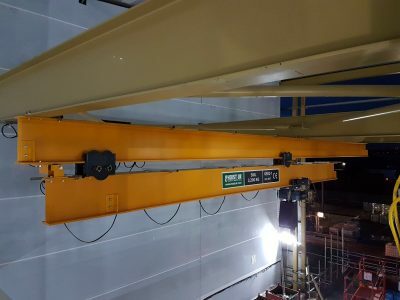 Given the bespoke nature of the runout crane, it can be fitted with an electric winch hoist or a manual trolley hoist, providing a safe lift load up to 5 tonne*. Each runout crane we fit is designed, built and manufactured to order by our expert engineers in our factory right here in the North West of England. Built to each specific customer’s requirements. There’s no “off the shelf” solution for the variety of requirements our customers and we enjoy going the extra mile to ensure the job is done right and safely, first time. 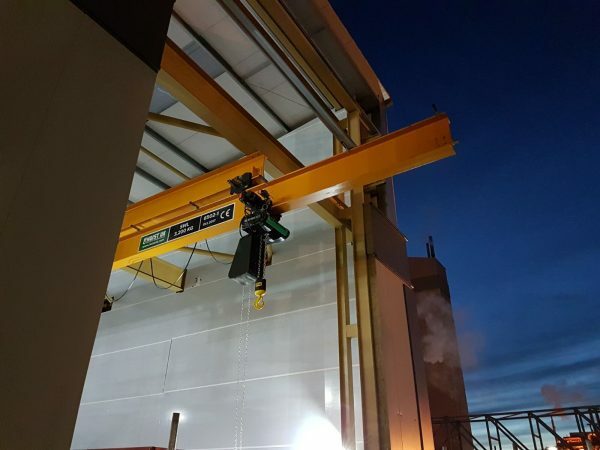 See the case study below for details on how we helped one specific client find the right runout crane for their requirements. *other specifications available by request. How did you hear about Hoist UK? No Thanks, please do not email me.